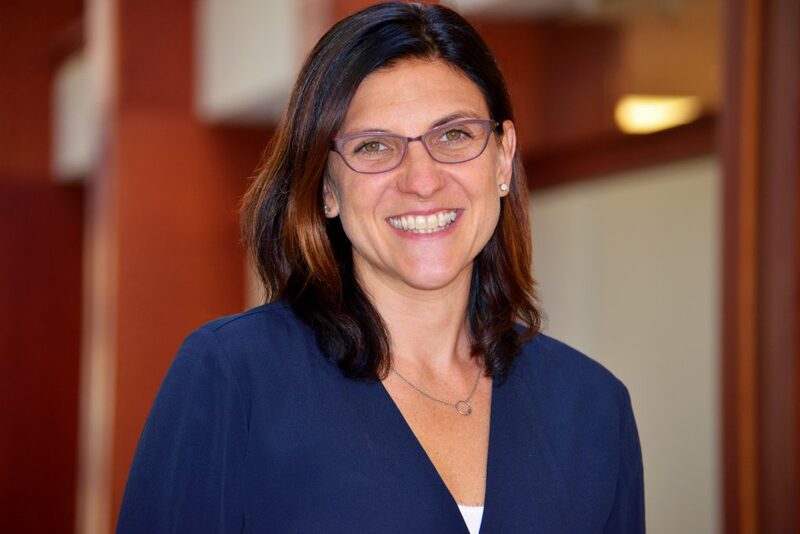 Jennie M. Weiner is an Assistant Professor of Educational Leadership at the Neag School of Education at the University of Connecticut. Her scholarship focuses on issues of educational leadership and organizational change particularly in chronically underperforming schools and districts. She is also interested in gender bias in educational leadership as well as issues of educational infrastructure at the local, district and state levels. Prior to coming to UConn, she has worked for Rhode Island Department of Education on issues of school turnaround and capacity building. She was a senior research associate for the Teacher Advancement Program (TAP) at the Milken Family Foundation. Dr. Weiner holds a Master’s in Education in Administration, Planning and Social Policy and a Doctorate of Education from Harvard Graduate School of Education. Weiner, J. & Holder, S. (2018). Why lead? : Exploring the motivations of aspiring principals. International Journal of Leadership in Education. 1-18. Weiner, J. & Woulfin, S. (2018). Sailing across the divide: Challenges to the transfer of teacher leadership. Journal of Research on Leadership Education. 1-25. https://doi.org/10.1177/1942775118766319. Lamb, A. & Weiner, J. (2018) Extending the research on 1:1 technology integration in middle schools: A call for using institutional theory in educational technology research. Middle Grades Review, 4(1), https://scholarworks.uvm.edu/mgreview/vol4/iss1/3. Torres, A. C., & Weiner, J. (2018). The new professionalism? Charter teachers’ experiences and qualities of the teaching profession. Education Policy Analysis Archives, 26, 19. Connery, C. & Weiner, J. (2017). Direct democracy’s threat to democratic schools: Ron Unz and the case of bilingual education. Education in a Democracy: A Journal of the NNER (National Network for Educational Renewal). 9, 6-29. Dougherty, S. & Weiner, J. (2017). On the Rhode to school turnaround: Estimating the impact of being just labeled as low-performing in the era of Race to the Top. Educational Policy. Online First. Donaldson, M. & Weiner, J. (2017). The science of improvement: Responding to external and internal threats in a complex school environment. Journal of Cases in Educational Leadership. 20(3), 65-75. Woulfin, S. L. & Weiner, J. (2017). Triggering change: An investigation of the multiple logics of turnaround. Education and Urban Society. 1-25. Weiner J. & Woulfin, S. (2017). Controlled autonomy: novice principals’ schema for district control and school autonomy. Journal of Educational Administration. 55(3), 334-350. Weiner J. & Higgins, M. (2017). Where the two shall meet: Exploring the relationship between teacher professional culture and student learning culture. Journal of Educational Change.18 (1), 21-48. Brigandi, C. Siegel, D, Weiner, J., Gubbins, J. & Little, C. (2016). Gifted secondary school students: The perceived relationship between enrichment and goal valuation. Journal for the Education of the Gifted. 39(4), 263-287. Weiner, J. (2016). Paradoxes or possibilities? : How aspiring “turnaround” principals conceptualize reform and their role within it. School Leadership and Management, 36(5), 471-492. Weiner, J. & Dougherty, S. (2016). Is the federal government in the business of improving charter schools? : An investigation of the unintended consequences of ESEA Waivers. Planning and Changing Journal. 47(1/2), p. 101-117. Weiner, J. & Burton, L., (2016). The double bind for women: Exploring the gendered nature of turnaround leadership. Harvard Educational Review. 86(3), 339-365. Weiner, J., Donaldson, M. & Dougherty S. (2016). Missing the boat–Impact of just missing identification as a high performing school. Leadership and Policy in Schools. Burton, L. & Weiner, J. (2016). “They were really looking for a male leader for the building”: Gender, identity and principal preparation, a comparative case study. Frontiers in Psychology. 7. Weiner, J. (2016). Under my thumb: Principals’ difficulty releasing decision-making to their Instructional Leadership Team. Journal of School Leadership, 26(2), 149-180. Weiner J. & Torres, C. (2016). Different location or different map? : Investigating charter school teachers’ professional identities. Teaching and Teacher Education, 53, 75-86. Weiner, J. (2014). Disabling Conditions: Investigating instructional leadership teams in action. Journal of Educational Change, 15(3), 253-280. Higgins, M., Weiner, J., & Young, L (2012). Implementation teams: A new lever for change. Journal of Organizational Behavior, 33(3), 366-388. Weiner, J. (2011). Finding common ground: Teacher leaders and principals speak out about teacher leadership. Journal of School Leadership. 21(1), 7-41.